Maddbuddha has three years collegiate coaching in Heroes of the Storm, three years collegiate coaching in League of Legends and a top sixteen cut in the Heroes of the Storm open division season one. Furthermore he has three years semi professional Heroes experience and three accounts in Masters Division. Tracer is a hero based on raw speed and skill. Due to her passive of being able to strafe (shoot while running) and her ability to Blink (Q), she can outmaneuver any other hero in the game. If you want to get good at Tracer than your going to need to learn the “Five D’s of 'Dodge-Tracer".. Dodge, Duck, Dip, Dive and GO DEEP. Playing Tracer to her peak potential requires you as a player to go into a fight with the intent to dodge skill shots, and having the confidence to go deep on your own as well as having the awareness of knowing when you are pushing your limits too far. I cannot overstate the importance of Tracer's level one ONLY being Tracer Rounds! While extra rewind time seems useful it is ultimately unnecessary and Melee (W) doesn’t need to give extra charge if you can’t see who you are shooting. Tracer Rounds is more than just an invisibility revealing skill. It also means that any target you are hunting can’t use bushes to juke you or get away because they are still revealed. This alone has secured me more kills than any other talent in all of Tracer’s talent tree. Parting Gift is going to be the best choice at level four in many situations. Take time to figure out exactly how the bombs drop, as this is a skill-shot. You will find that these bombs each do a significant amount of damage, more than the average assassin skill-shot. This is important because when used in conjunction with Pulse Bomb (R), it will provide enough extra burst to find the kill your team needs. Untouchable can be useful however it is really only good in a few situations. One, you are vastly under-ranked and out skill everybody super hard. In this case you should be consistently gaining and holding onto Untouchable stacks, which in turn makes this a valuable talent. The other time to take this is if: you have double support double tank and you have to be the god tier damage carry you always thought you could be. If these aren’t the case though the risk simply isn’t worth the reward and Parting Gift will always be more consistent. Only, only, only, only ever pick Spatial Echo! Seeing talents other than Spatial Echo taken makes me cringe harder than when Blackhart asks me for more booty. Let’s do some math: jumper gives you four Blinks (Q)… uh-huh riiiiight, but if you get even one kill in a fight spatial echo gives you five?? Spatial Echo can give you up to thirteen Blinks (Q) in a full fight if you reset like a living god! WHAAAAT!?!? Ok sarcasm aside Spatial Echo can give you thirteen THIRTEEN possible Blinks (Q) in a fight if you are good at dodging spells and getting your resets. Furthermore, Parting GIft at level 4 has great synergy with this talent because it gives you just the burst you need to start your reset roll in a fight. If you are going Parting Gift and are simply looking to make your resets happen you should take Quantum Spike. This increases the burst damage potential of your ultimate and with it being based around max hp can, the Pulse Bomb (R) can do nearly as much damage as a Kael’Thas Pyroblast! Basically you want to build up bomb charge outside of a fight and come into a fight with a quantum spike ready to roll then you can delete a carry quickly and finish of the rest of the team with all your Blinks (Q) and mad skills. Pulse Rounds: if you are taking untouchable then I recommend going a more auto attack focused build on Tracer, and if you are focusing on auto attacks it makes sense that you take the ultimate that focuses on auto attacks as well. Put simply the more you shoot the more you can lasso them darn heroes on the other team with some bombs eh, partner? Leaching spray: if you are going auto attacks build you'll want me continue talenting into the same by granting them life-steal. This will allow you to win trades harder and stay in greedier places longer than you other wise would be able to. When you are just trying to pump out sustained damage, the ability to live is crucial to that goal. Locked and Loaded: This talent offers the most damage per single clip. Since we are only after that reset, the more damage we can do, and the faster we do it, the better it is. Learning to get the bonus from this talent every time is critically important to maximizing the amount of damage you do. Man, 16 was an easy tier to write about. Shoot more = more shots being shot = more Pulse Bombs (R) (cause you go Pulse Rounds at ten if you are going auto attacks see?) = more dps = more kills = good. This talent really shines when combined with other auto attack talents such as Untouchable. Total Recall - this is the most commonly used, but is only really good if the other team has a lot of damage. If you nearly die just going in for the first kill no matter what you do, then Total Recall is a great choice. If you can get in and get a kill and maintain half hp or more then you probably don't need to take this talent. It is best used when you can get the most value from it. Make sure to continue to avoid getting hit with every skill shot in the kitchen sink though as this talent can make you lazy! Composition B really shines when you can hit multiple people with both bombs. This normally happens in one of two situations, either when your allies have a way to set you up such as Zarya’s Graviton surge or ETC’s mosh pit. Or when the enemy team tends to bunch up, this happens when they are walking through small alleys and choke points around the map. This is easily my personal favorite 20 talent in Tracers tree. Get stuffed gives you a lot and I mean A LOT of play making potential. First off it lowers the cooldown of your Melee (W) which if you went bullet spray makes for a pretty nutty combination. Also it gives you the ability to instantly trigger Pulse Bomb (R). Let me say this again because it is important It instantly triggers Pulse Bomb (R). A combo of one clip of auto-attacks > R > W can literally eliminate an entire squishy heroes’ health pool. Furthermore, most people can no longer activate their defensive abilities on time, because Pulse Bomb (R) didn’t go off on a delay like they expected it too. Other than that you can just casually kick a carry in to your team - no big deal, or peel yourself or insert other great things here that happen by moving enemy players around against their will. Look I know I am writing a lot more about this talent than the others but man, it is damn good! Dodge, duck, dip, dive and GO DEEP! Your dash is used to give you opportunities that other dps characters simply cannot get. If you get into a position where you need to back up, but aren’t in critical danger, use this to re-position.. Use Blink (Q) to dodge enemy skill shots on the fringes of a fight until you are ready to go in for a Melee (W) & Pulse Bomb (R) combo. Try to save one charge of Blink (Q) for critical movements. This hard-hitting ability is used to assist in charging up your ultimate and provides some solid burst damage. Keep in mind that to use Melee (W), you must be in Melee (W) range. This means you take on a significant amount of risk to do so, especially when enemies are grouped tightly. When using Recall (E), there a single major consideration to take into account: Are you going to die if you don’t use Recall (E)? If the answer to this question is yes use Recall (E). Recall (E) should be used for no reason other than to avoid your own death. if you cannot reach somebody it is because you didn’t use or plan your Blinks (Q) well enough. That being said as a general rule don’t use Recall (E) to chase an enemy, as it uses your only defensive cooldown (there are few exceptions to this). Make sure that you aren’t about to get two more dashes from a reset too because you would rather use those than Recall (E) most of the time. Get that reset! Get that reset! And do it by dropping your bomb on squishy enemies, low health heroes, or out position foes. Consider which bomb upgrade you took, and where/when it is most effective. Well said editor man! But mostly -- Get that reset! Get that reset! If you have Locked and Loaded make sure you are getting the bonus from hitting the trigger (I practiced this for literally hundreds of games before I was perfect… I still miss sometimes, like this one time back in november of 2016 I ….). If you didn’t take Locked and Loaded the only time to press this button is if there is a pause in the action and you want to refresh your clip but you don't want to or cannot mount (which refreshes your clip). In a majority of situations mounting during down-time is a good practice anyway as you get more run speed when you are a horse. Early game, Tracers big spikes in power come at every talent level starting from level 7 meaning that until level 7 play extremely cautiously. Shoot dudes or dudettes how ever you feel, but don't expect to get more than one kill with a Pulse Bomb (R) here or there, and even then that can be a lot to ask for. Even so, getting small amounts of free damage is still something you should be doing. At level 7 your first important power spike comes into play, you now gain Blink (Q) charges from takedowns. This means takedowns in multi-hero teamfights become more valuable, so do that and win! Remember your 5D’s and summon your synchro monsters, whoops wrong game. Anyways, consider which enemy is the most vulnerable target for you at all times, as it can be constantly changing dependent on positioning. Late game levels 16 and on - this is where ranged assassins really shine because getting a kill when death timers are this long is a seriously high priority. And if you're playing a dps character like say - Tracer, than you are going to have to put the team on your shoulders and show them how it is done, be patient at the start of fights it can sometimes be in the neighborhood of 7-10 seconds of action before enough of the enemy team's powerful spells are down and you can commit to the cleaning up. Consider what abilities are specific threats to you and stay out of their range until they go on cooldown, one example of this would be Varian’s Taunt. When you do commit just make sure you land your bombs! I have seen more fights go down from a missed bomb and Tracer not getting her resets than I would care to remember. Avoid this catastrophe in your games! Blinking (Q) is used to out play not just panic dodge make sure you use every Blink (Q) to enable yourself to do more damage not just run! Stack you bombs on minion waves and assisting you teammates with camps that you already have a bomb at the start of a fight. Tracer is really good at fighting in open space so try to wait to commit to a fight until the enemy team is in a good spot for you. In conclusion Tracer is extremely mobile which means she has incredible potential to take advantage of enemies mistakes. However when playing her, make sure you are using efficient Blinks (Q) and don’t let your speed get out of control. 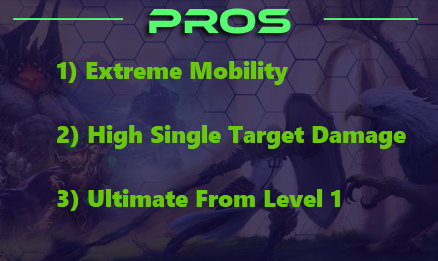 Because of this enormous mobility, Tracer is highly dependent on the skill of the player behind the computer.. 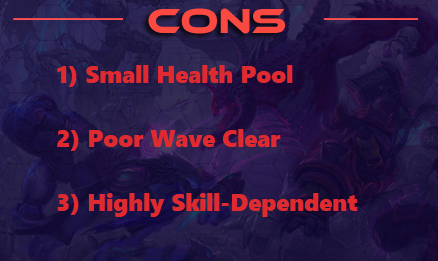 Dodge powerful spells and avoid CC at all costs and you will thrive in your teamfights, make sure to take spatial echo at 7 because thirteen Blinks (Q) are better than four and look for those resets! If you can master these, and enemies will learn to fear you quickly. ​Try out our Heroes of the Storm Coaching Lessons!